We know that many of you are in the midst of relentless work on your thesis and as many of you also juggle jobs as well as study, sometimes things can get a little stressful. That’s why we have been holding our Postgrad Power Teas, where you can grab a free tea, coffee and snack to keep you powering on through the afternoon – perfect for when you don’t have a second to spare! Where? : The Bridge, Building 42, Union Southampton. ‘Are insects the food source of the future?’ will be the question up for discussion at our Science Room, in The Bridge, before you get the opportunity to sample some edible bugs for free. The event will be led by Dr Jenny Josephs, who completed her PhD at the University of Southampton before going on to found The Bug Shack, a UK company which promotes edible insects as a sustainable source of protein. 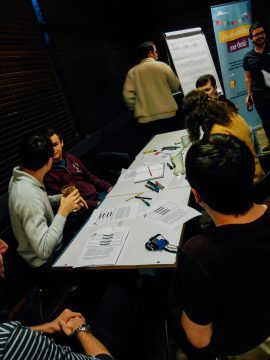 The Science Room is an informal science community based at The Art House in Southampton that encourages everyone to get involved in science through creative talks, questions, exploration and discussion.